NEW DELHI: Bharat FC added more domestic players to their squad, signing on defender Bikramjeet Singh, midfielder Simranjeet Singh and attacking midfielder G Vignesh. While Bikramjeet moves to Bharat FC from Pune’s DSK Shivajians, Simranjeet and G Vignesh join from Churchill Brothers SC and South United FC respectively. The 21-year-old Bikramjeet, a central defender, was an integral part of the India under-19 team in 2010-11 for the AFC Challenge Cup qualifiers, playing all five games for the Arthur Papas coached side. Having begun his football at the Paldi Academy in Hoshiarpur, Punjab, Bikramjeet also figured for the Pailan Arrows in the 2011-2012 season, making seven appearances. For the 2012-13 season, he went out on loan to second division side DSK Shivajians, playing in the I-League second division. Simranjeet Singh, who hails from Jaito Sarja village in Gurdaspur district, is a graduate of the Tata Football Academy. Having graduated in 2012, Simranjeet spent a season with Pailan Arrows, making eight appearances in the 2012-13 season. He then moved to Churchill Brothers SC in 2014, making one appearance for his new side in the Durand Cup against Vasco SC. Simranjeet has also been a youth-international for India, having two substitute appearances to his name during the AFC qualifiers, playing for the India under-22 side. G Vignesh, the 26-year-old from Bangalore can play in a variety of positions across midfield. Primarily an attacking midfielder, the crafty Vignesh has been used in wide positions on either flank by his previous coaches. Having joined Pune FC in the 2009-2010 season, he broke into the first team in the 2011-2010 season, making regular appearances under Derrick Perreira. In the 2012, he left Pune FC for Chirag United Kerala playing for them in the I-League second division. In 2013 he moved to Bangalore side, South United. Prasad Kapre, head of operations at Bharat FC, said that all the three players had managed to impress the coaching staff during the invitational trials. “All the three were really liked by all our coaches. They are young, have good experience, Simranjeet and Bikramjeet have international experience, and I am sure those factors have been taken into consideration while selecting them,” he said. 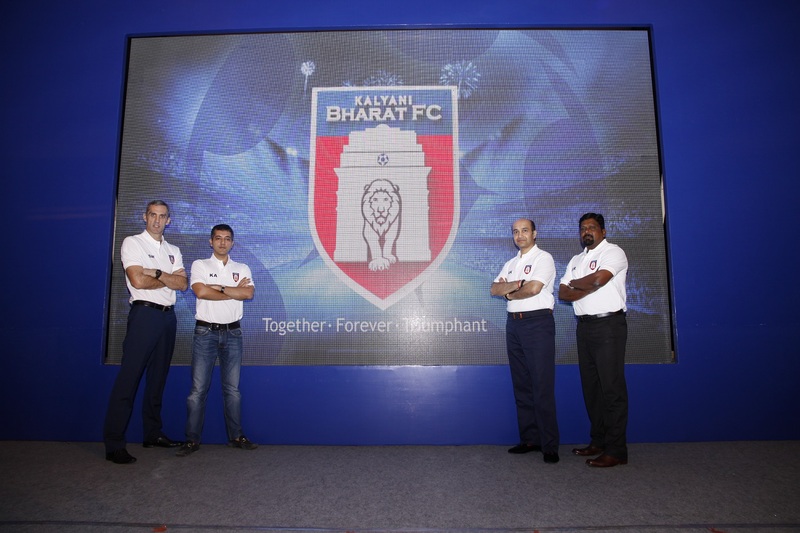 Bharat FC’s head coach, Stuart Watkiss, said that the three boys had stood out during the trials with their potential and each had a unique ability which would be beneficial to the team. “Vignesh is very calm with the ball at his feet and has a very assured touch. Bikramjeet has presence and manages to get into good positons defensively. Simranjeet has lots of energy, has enough in the tank to run the whole day and his tenacity in winning the ball back is great,” said Watkiss. While Simranjeet and Bikramjeet said that the experience of working with foreign staff and some acclaimed foreign players was great motivation, Vignesh said that the move to Bharat FC was very important for his confidence. “I have earlier played in the I-League and I knew that I was good enough to play at this level. The last couple of years have been a little tough but with the start that we have had at Bharat FC, I am confident that I can return to my best form very soon.” Said Vignesh.